I'm not the biggest thugga fan, but every feature I hear him on, he kills it. What I don't get is every album he drops are ok, but don't have any replay value to me. 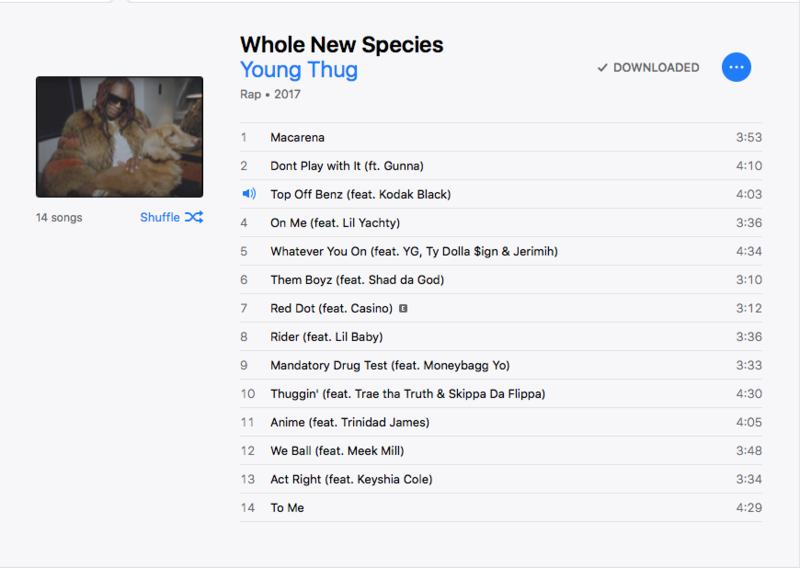 Anyone else have a similar opinion or is there a complete thug tape I'm missing? Barter 6, Jeffery and EBBTG are top tier projects of the decade, I would try to spend some more time with those and see what happens. I've never really had a Thug project completely click with me until months down the line so def give it some time. Jet✞, Ordinary Joel and Juan Pablo like this. Smitty and Ordinary Joel like this.